Medicare supplement plan G saw a 28% increase in number of enrollment in 2015 (the most recent data), while Plan F increased by only 8%. 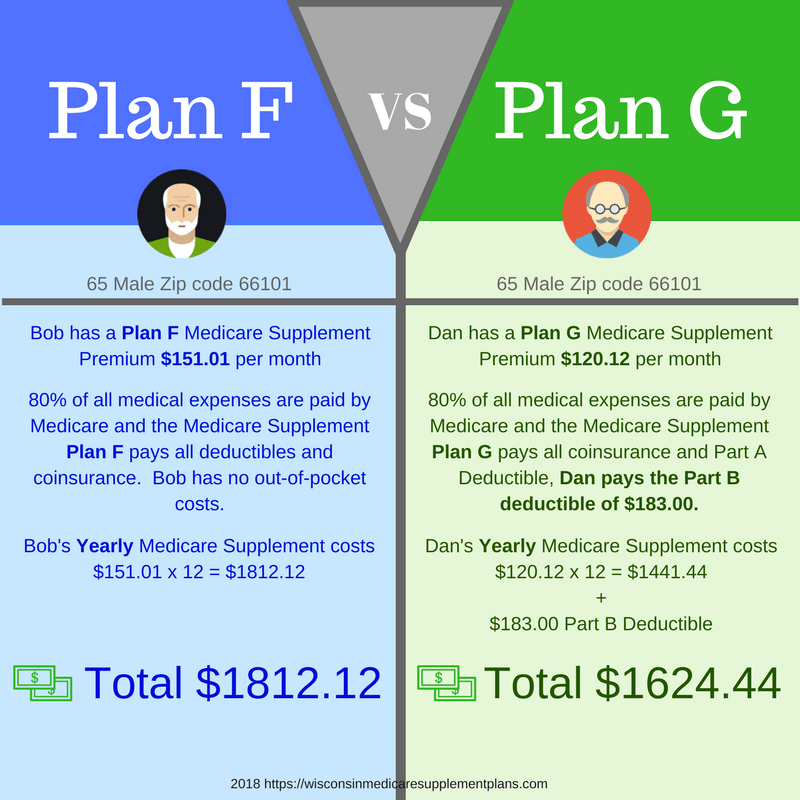 Plan F is the only supplement that offers more benefits than Plan G, and has long been the most popular Medicare supplement, evidenced by the fact that Medigap F alone accounts for more enrollments than all the other plans combined. So what accounts for the sudden surge of Medicare recipients flooding to a Medigap Plan G? 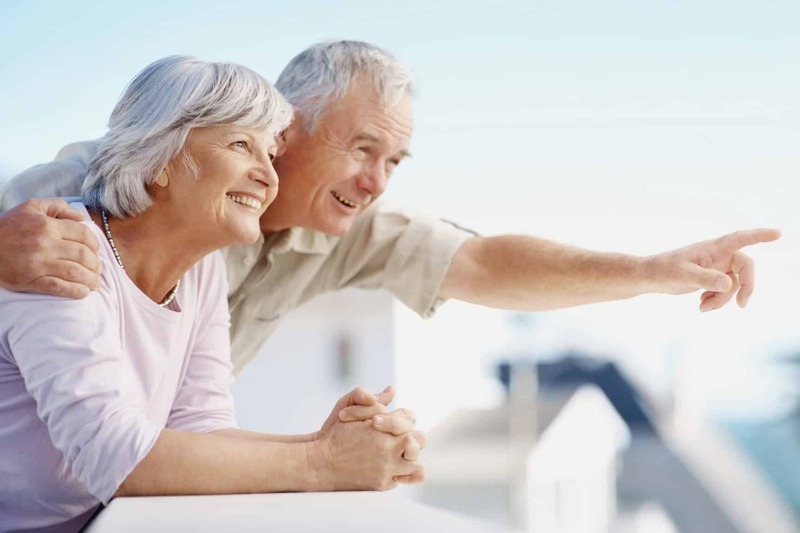 Let’s take a closer look at what this plan has to offer and see why it might just be the most popular Medicare supplemental insurance plan by the year 2020. Like every other Medicare supplement, Plan G offsets the out-of-pocket expenses associated with Original Medicare, including copays, coinsurance, and deductibles. Many Medicare recipients choose a Medigap plan to avoid surprise health care expenses. A Medicare supplement plan G offers the second most comprehensive coverage, beat out only by Plan F, which covers all the same expenses plus the Part B deductible. Medicare Part A: Coinsurance and Hospital Costs (up to 365 additional days beyond typical Medicare Benefits) Part A Coinsurance is typically the portion of your hospital bill that you have to pay after reaching the deductible. Since coinsurance is a percentage of the total cost of the hospital bill, it is typically more than a co-payment. Under Medicare Part A, your coinsurance (share of your bill) could become significant depending on the treatment you receive and the number of days you remain in the hospital. Without a Medicare Supplement Plan (Medigap), your coinsurance responsibility could quickly become significant. Plan G would take care of this expense so you don’t have to. Medicare Part B Coinsurance and Copayment: Part B coinsurance is fairly simple because it is a percentage (usually 20%) of all the services you receive. Under Medicare Part B (doctor visits), once your deductible is met, you are responsible for 20% of the cost of outpatient services and Medicare approved durable medical equipment. In some cases, however, the Part B coinsurances will not apply to preventive service. In any case, your Medicare Supplement Plan G will pay the coinsurance and copayments so that you do not have to pay out-of-pocket. First 3 Pints of Blood: Medicare Part A (your hospital insurance) does cover a blood transfusion but depending on where the blood comes from, you are responsible for the cost of the first three pints unless the blood comes from a donor (like a friend or family member) or from a blood bank that doesn’t charge for blood. Part A and Part B provide the coverage regarding transfusions. Having a Medicare Supplement Plan G means you will not be responsible for any charges for blood. Coinsurance for Hospice Care Under Medicare Part A: Hospice Care is generally a short-term service that is provided to help those with terminal illnesses remain comfortable during their last months of life. Hospice care is not for curing an illness only for relieving pain that is caused by an illness or injury. Medicare Part A does require the patient to pay a $5 copay for medications, however, many hospice services waive this copay. You may also be charged 5% coinsurance for the cost of respite care (help provided to caregivers and family members). With a Medicare Supplement Plan G, all of these costs would be paid by the insurance company. Part A Deductible: The Medicare Part A deductible represents the beneficiary's cost of service when they are admitted to the hospital. The deductible for 2019 will be $1,364 which represents an increase of $24 over the 2018 deductible. The deductible is for the first 60 days of Medicare-approved hospital care in a benefit period. If the patient remains in the hospital longer than 60 days, they are then subject to a per day coinsurance amount that can become significant. 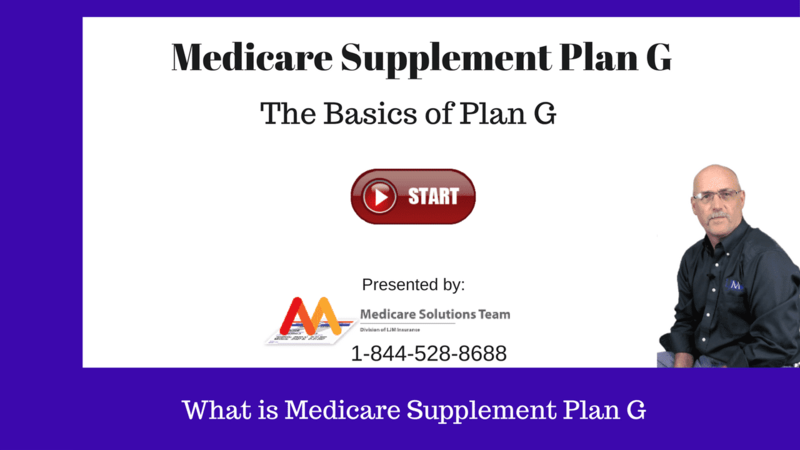 The Medicare Supplement Plan G covers the patient for Medicare Part A deductibles and coinsurance. Part B Excess Charges: Part B excess charges are the result of a physician who is unwilling to accept the Medicare Part B approved amount (assignment) of certain physicians services. Any physician who does not agree to accept “assignment” is allowed to overcharge the assigned rate for specific services up to a maximum of 15% more than the assignment. Although some states do allow this practice, where it is allowed, the patient would have to pay the excess charges out-of-pocket. The Medicare Supplement Plan G will cover all excess charges so you won’t have to. Foreign Travel Emergency: Although Medicare does not typically cover health care services that are received in a foreign hospital, there are a few limited situations where it will pay. Foreign service areas are considered any country other than the United States and D.C., Puerto Rico, Guam, American Samoa, the U.S. Virgin Islands, and the Northern Mariana Islands. Without getting into more details, suffice it to say that your Medicare Supplement Plan G will pay for foreign travel EMERGENCY services but coverage is typically limited to $50,000. What About the Part B Deductible? The Part B Deductible is the only expense not covered by Medicare Supplement Plan G. Deductibles can often be the most intimidating aspect of a health insurance plan because they generally mean that the recipient will need to pay thousands of dollars before insurance pays for anything. Because of this deductible phobia, many people avoid Plan G. However, the Part B deductible for 2018 is only $183 annually, so it really isn’t that bad. Instead of letting deductibles scare you, it is best to compare premiums of the Medigap plans you are considering to see whether or not adding Part B deductible coverage costs you more than $183 per year. Who Is Medicare Supplement Plan G Best For? In our opinion, the Medicare Supplement Plan G is the best Medigap Plan for the most people. Of course, everyone’s situation is a little bit different and there is no one size fits all plan. Someone who is 100% certain that their care providers accept Medicare’s assigned fees would be better off with Plan D, which would save money on premiums because it doesn’t include coverage for Part B Excess Charges. 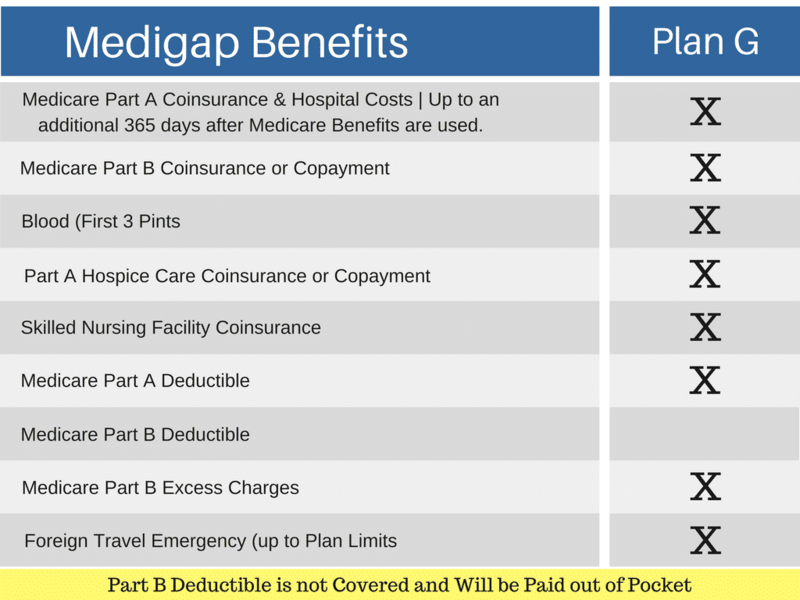 Medigap Plan G is specifically meant for the person who wants virtually no out-of-pocket expenses. Although it’s got one of the highest monthly premiums, Plan G offers “set and forget” insurance coverage. Besides paying a predictable amount every month, you’ll virtually never receive a bill. When you enroll in Medicare Supplemental Insurance Plan G, you are effectively reducing your out-of-pocket expenses to zero after you meet a very small deductible ($183 in 2018). After your Original Medicare covers the initial costs of medical care, Medigap G will fill in the remaining gaps. You won’t have to fork up copay's or coinsurance for hospital costs, sick appointments, x-rays, lab work and more. Furthermore, with the Foreign Travel Emergency coverage, you are covered for up to $50,000 if you have a medical emergency outside of the United States. You are also free to see any doctor who accepts Medicare, even if they charge more than typical for services. Medigap Plan G provides coverage for Part B Excess Charges, so you don’t have to worry about finding a new doctor. Plan F has long reigned supreme as the most popular Medicare insurance supplement, being the plan of choice for some 57% of Medigap recipients. However, in 2020, Plan F will no longer be available to new enrollees, so it is likely that Plan G will soon rise to the top. So what is the real difference between Medigap Plans G and F? The coverage is almost identical. Both plans are extremely comprehensive, effectively negating the most surprising of medical expenses. Plan F, however, also covers 100% of the $183 Part B Deductible (in 2018)—for the “low” cost of about $300 per year. You read that right, spending about $300 extra on premiums saves you only $183 in deductibles. You don’t have to be a math genius to see why Plan G comes out on top in our assessment. There has been recent talk lately about how the Medicare Access and CHIP Reauthorization Act of 2015 (MACRA) will likely affect Medicare Supplement Plan F beginning in 2020. What the government is saying is the Medicare Supplement plans that cover the Medicare Part B deductible will not be available for new customers in 2020. The scuttlebutt going around is that the government wants Medicare beneficiaries to have at least some “skin in the game” when it comes to health care coverage. If you are already insured under one of the affected plans (plan C and F), you will likely be able to keep it (does that statement sounds familiar?). If you are eligible to enroll in Original Medicare before the first of January, 2020, you’ll likely be able to purchase a Medicare Supplement Plan F or C.
If you are eligible to enroll in Original Medicare on or after January 1, 2020, you will likely be unable to purchase Medicare Supplement Plan F or C.
Certainly, the outcome that will result from these changes is that Medicare Supplement Plan G will become the number one Medicare Supplement plan in the marketplace provided the premiums remain stable on the run-up to the changes in 2020. Historically, the federal government is very good about getting notices out about Medicare well in advance, but do not be surprised if these notices lead to a lot of confusion and unanswered questions. When that time arrives, take a moment an contact one of the experts on the Medicare Solutions Team at (855) 528-8688 during normal business hours or contact us through our website at your convenience. Ready to Enroll in Medicare Supplement Plan G? Do you think a Medicare supplement plan G might be the one for you? Are you comparing plans to find the best to fit your needs? Do you need more information on those Foreign Emergency and Part B Deductible benefits? Let us help answer these questions and more. Call us today at 844-528-8688 or get in touch through our contact form. To get the details on all the other Medicare supplement plans, see our Medicare Supplement Comparison article. For lower prices and benefits that are close to the Medicare supplement plan g, you might want to consider the Medicare supplement plan N.